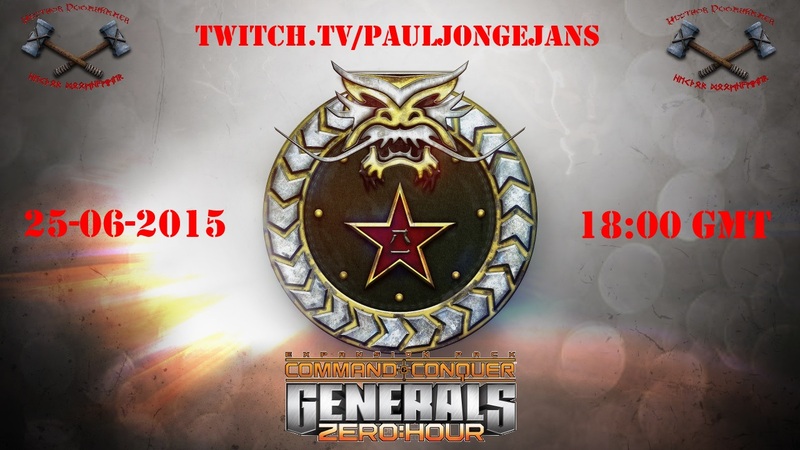 According to the schedule that really doesn't exists, I should be able to start the planned Campaign Playthrough of Command & Conquer: Generals on stream on JUNE 1ST 2015 at 18:00 GMT every Monday, Tuesday and Thursday until I am done with the Zero Hour Campaign. 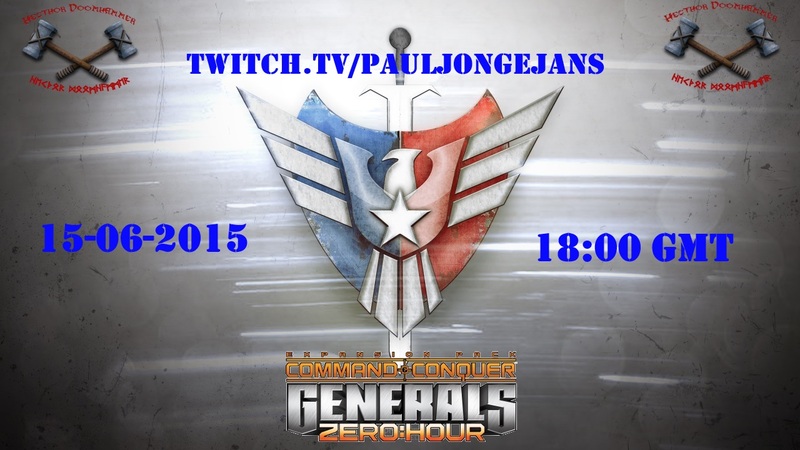 I will NOT be doing the Generals Challenges. These playthroughs will be done on NORMAL difficulty as I have never played the game/expansion before. Also please leave any backseat gaming off the chat. The place where this will happen, is of course My Channel On twitch and I will be announcing all streams On My Facebook Page and in this very topic! 1. Why we need this streams? 2.  What is the main aim of this streams? 3. 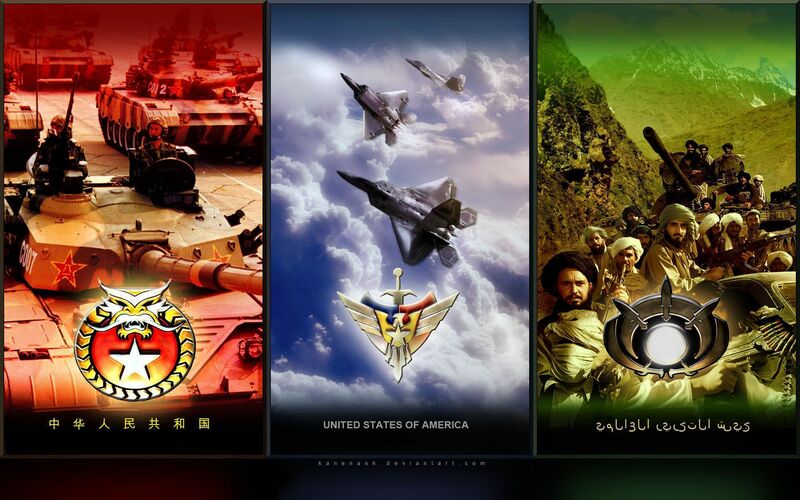 Is future ROTR campaign will be a continuation of events from past ZH campaign? 1: Because it's my channel and I do what I want on my channel. It's not going to affect the Wednesday, Friday and Sunday Streams of RotR any way as I do have a stream schedule I try to keep. 2: To play the campaigns of the game and get more experience with the core of 3 factions I am not good with in RotR, so that hopefully I can get better at them. 1.Cause the emperor wills it! 2.For the glory of the imperium! 3.RotR's lore is a continuation of the ZH lore.I dont know about the future campaigns,but its most likely. 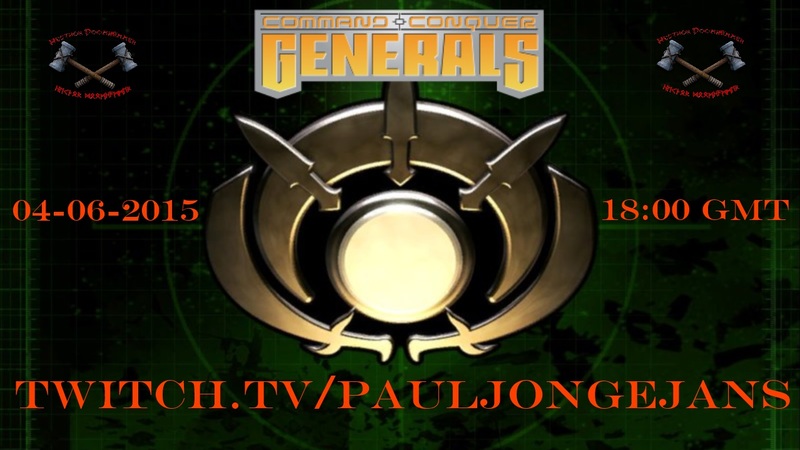 Well, Generals, it's time for me to learn the basics and why you guys love this game and the mods so much. After having streamed Rise of the Reds for over a year, I owe this to not only myself, but also to all of you out there. And I hope to see all of you then! Well, you know, really the best way to be more experienced is to play the factions in RotR, the playstyle since Zero Hour, let alone Generals has changed a lot. With the Chinese campaign done, it's time to move to the next faction on the list. 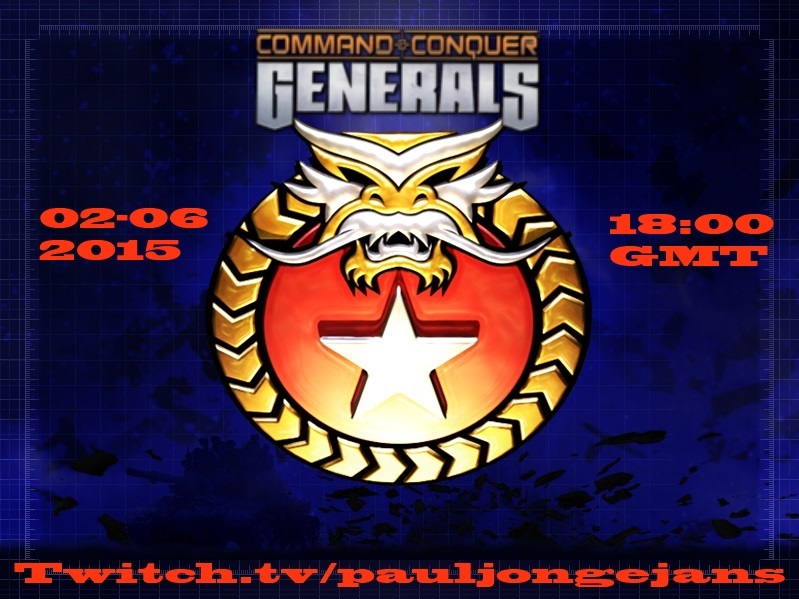 GLA in Command & Conquer: Generals. While I've already messed around with it a little bit in the Chinese campaign through cheesing, this time it's the GLA doing the cheesing. 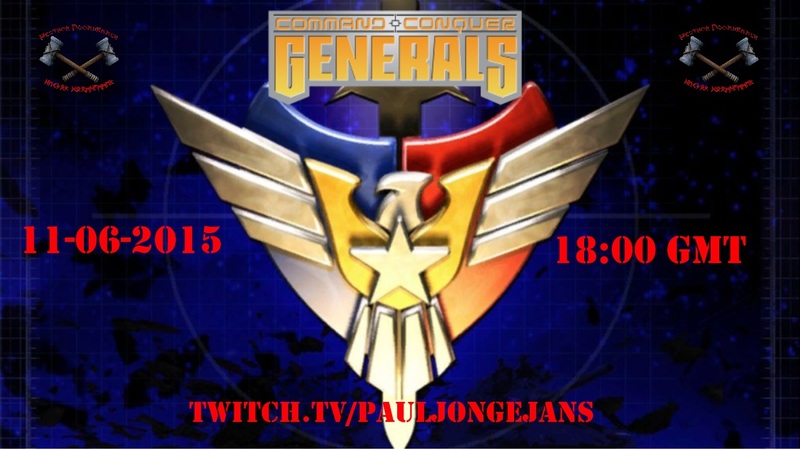 So please, join me tomorrow, June 4th 2015 at 18:00 on my channel on Twitch as I play blindly through this campaign. Please refrain from spoiling anything because this is, after all, a blind playthrough. ALADIN SNACKBAR, can I take order? 5 Bomb trucks, 2 Scud Launchers and 3 more missions of GLA? Ok, that will be delivered to my channel on twitch at 18:00 GMT tonight. How long must you wait? This long! I apologize for the late announcement. I had my hands full all day. with my head and hair. Cheddar isn't real cheese, so I guess I'll have to finish the USA Campaign without cheese then. Now as this is my very first playthrough, I would appreciate if any and all spoilers and back seat gaming would remain off the chat. So please, join me tomorrow, Monday June 15th 2015 at 18:00 GMT for the start of the ZH campaign. 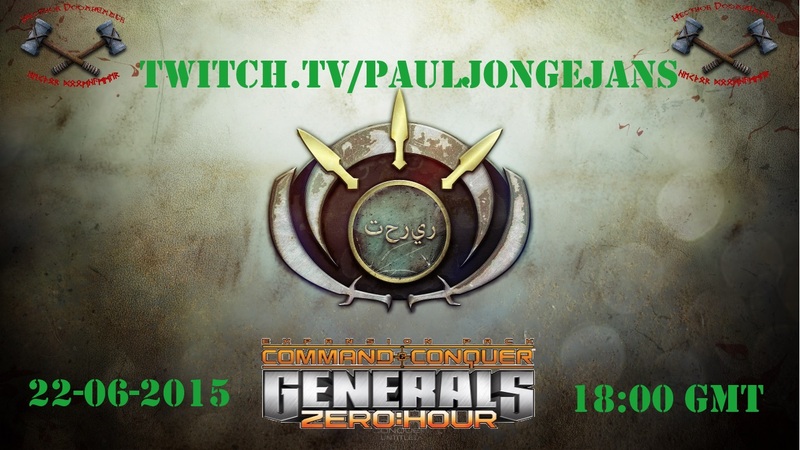 With the USA Campaign of Command & Conquer: Generals - Zero Hour done, it's time to move on to the next one. The GLAH! Campaign. Remember that this is a BLIND playthrough so please do keep all spoilers and backseat gaming off the chat. 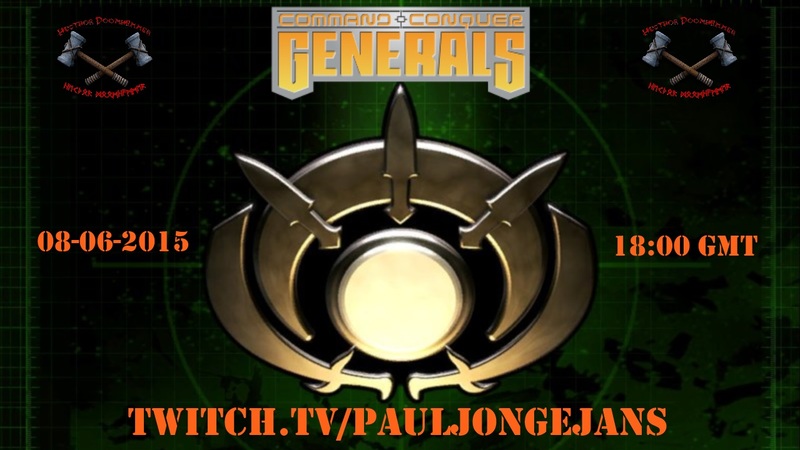 This should also be the last week of the campaign and I still haven't decided whether to play the Generals Challenges. and by ALADIN SNACKBAR I hope to see you all then! 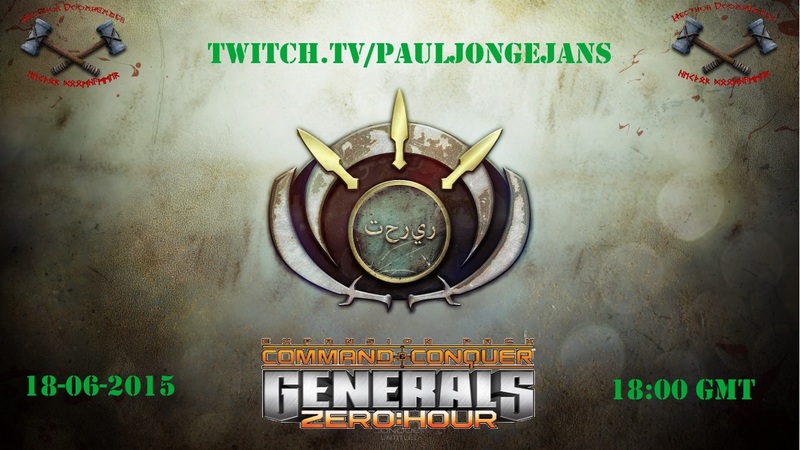 I know it's wednesday and I know under normal circumstances I would stream RotR tonight, but with the set back of the 5th GLA mission from monday, which extended the campaign to tuesday, tonight I will start the China Campaign of Command & Conquer: Generals - Zero Hour in stead, because with the limited time per day I have, I really want to finish the campaign this week. 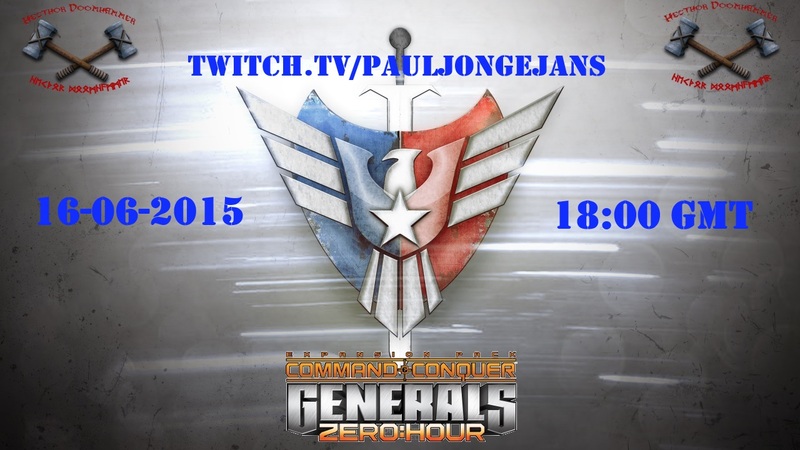 Join me tonight at 18:00 GMT on my channel on twitch to see me (probably) fail.